Home » Physicists Send Particles Of Light Into The Past, Proving Time Travel Is Possible? Scientists from the University of Queensland, Australia, have used single particles of light (photons) to simulate quantum particles travelling through time. 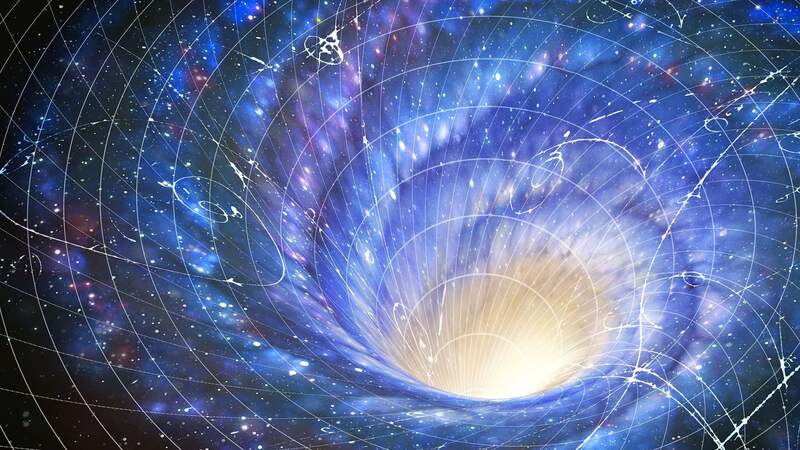 They showed that one photon can pass through a wormhole and then interact with its older self. Their findings were published in Nature Communications. The source of this time travel conundrum comes from what are called “closed timelike curves” (CTC). CTCs are used to simulate extremely powerful gravitational fields, like the ones produced by a spinning black hole, and could, theoretically (based on Einstein’s theory of general relativity), warp the fabric of existence so that spacetime bends back on itself – thus creating a CTC, almost like a path that could be used to travel back in time. According to Scientific American, many physicists find CTCs “abhorrent, because any macroscopic object traveling through one would inevitably create paradoxes where cause and effect break down.” Others disagree with this assessment, however; in 1991, physicist David Deutsch showed that these paradoxes (created by CTCs) could be avoided at the quantum scale because of the weird behaviour of these fundamental particles that make up what we call matter. It’s well known that at the quantum scale, these particles do not follow the rules that govern classical mechanics, but behave in strange and unexpected ways that really shouldn’t even be possible. In the quantum world, paradoxes that we don’t understand are common findings, but this should not deter people from taking this science seriously. Even Einstein didn’t believe a lot of quantum theory, but I’d like to think that if he were alive today, he would definitely be having some fun, given all of the recent breakthroughs. Tim Ralph (quoted above) and his PhD student Martin Ringbauer simulated a Deutsch’s model of CTCs, according to Scientific American, “testing and confirming many aspects of the two-decades-old theory.” Although it’s just a mathematical simulation, the researchers (and their team/colleagues) emphasize that their model is mathematically equivalent to a single photon traveling through a CTC. Nothing has actually been sent back through time though; to do that, scientists would have to find a real CTC, which has yet to happen as far as we know. Of course, there always remains the possibility that black budget science has. You can read the specifics of the experiment here. This means that one particle can exist in multiple states at one time. This is best demonstrated by the quantum double slit experiment. Recent experiments have also confirmed quantum entanglement, showing that space is really just a construct that gives the illusion of separation. One thing that suggests there is a high probably of time travel, in conjunction with the experiment mentioned in this article, is the fact that there are experiments showing that particles can actually be entangled through time. Although we do not have access to a CTC quite yet, there are good reasons to believe that this type of time travel is possible at the quantum mechanical level, and that is why I chose to mention these other experiments, to show that ‘time’ doesn’t even really exist as we think it does. You can access an excellent description of the delayed choice experiment using a cosmic scale explanation here, which makes it easier to understand. Perhaps one day, we will have determined the key to this puzzle and be able to observe large objects like cars, humans, apples, and oranges behave in the ways that matter does on a subatomic level, and perhaps one day we will find a wormhole, or a CTC in space, to conduct actual experiments that go beyond theory. That being said, a lot of what used to be considered theoretical in quantum physics is no longer theoretical, like quantum entanglement.